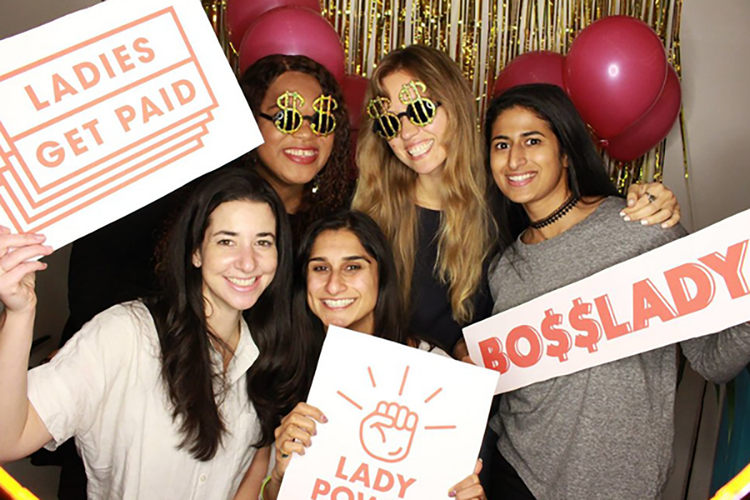 Get Money Get Paid is a 1-day experience dedicated to helping women rise up at work. Whether it’s through making more money, rising up into leadership, or supporting female-friendly policies, this conference will give you the tools you need to make change in your life and the lives of other women. The day will be a mix of fireside chats, workshops, and panels, that will be as actionable as they are aspirational. Do any of those words ring a bell - or make you cringe - when you think of a woman speaking with authority? Everyone is talking about what really holds women back in the workplace: vocal patterns like upspeak and vocal fry, too much “just” or “sorry”, an inability to Lean In or crack The Confidence Code....and there’s a lot of noise out there about what does and does not work. So are we supposed to express ourselves with confidence and clarity? What does leadership SOUND like? Attendees can expect to be on their feet and using their voices several times within the workshop, all within a safe and supported exploration outside of comfort zones. All participation is voluntary, of course, and our participants always have a blast. Co-Hosted by Rachel Wynn of Feminist Founder. FOR WHOM: Women+ who want to access their more confident, powerful voices - especially aspiring or current leaders, managers, and entrepreneurs. Want To Host Your First Vision Board Party in 2018? Maybe you've heard one of the many celebrities like Oprah talk about how vision boards changed their lives. Maybe you have that one friend who created a vision board and then watched their dreams come true. There are a few simple tips that will take you from the idea you have in your head to hosting a life-changing party! BRAVE is a deep dive look at what's working - and NOT working - in your life. want to move outside of their "comfort zone", and create a life that feels more purposeful, fulfilling, connected and joyful! have followed the "good girl rules" and are great at "keeping up appearances" but are feeling a vague dissatisfaction with their roles and their choices...who long to create - and follow - their OWN rules and live a more inspired life! The legal sector offers unparalleled opportunity to affect policy. From nonprofits’ advocacy, to Congressional staffs crafting legislation, to the chambers of the Supreme Court, women are on the front lines of the great legal battles of our time. At the three-day Women, Law, and Legal Advocacy seminar, college women from across the U.S. considering a career in law will explore the connections between legal careers and the legislative process in Washington, DC, see first-hand how to use a career in law to make a difference in their communities and the country, and gain access to a network of women ready to help them launch a legal career. 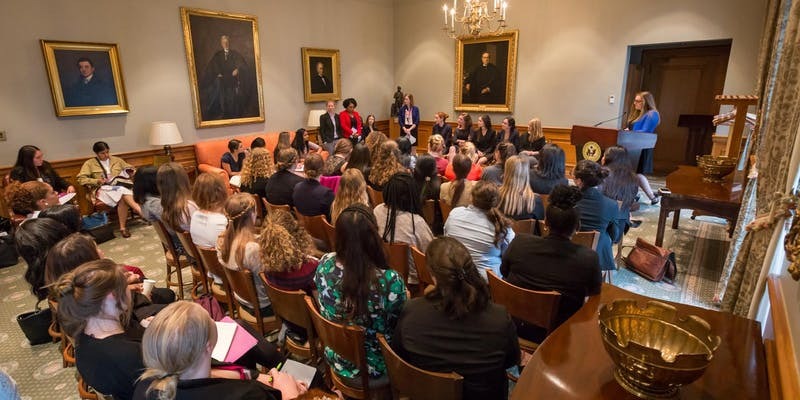 Connect - Build your professional network by learning how to effectively maintain professional relationships while connecting with women leaders in Washington, DC and in your seminar cohort. Lead - Learn directly from women leaders about their recipes for success and return to campus with a better knowledge of available career paths to empower other women on your campus. Discover - Contextualize the knowledge you're gaining in the university classroom and learn how to apply it in a successful career after graduation. We as black women are the backbone of the black community. But we're also each other's sisters and support. The Black Girl Magic experience fosters fellowship, self-care, and family. It's a sister circle that encourages you, the divine black woman, to feel supported, loved, and rejuvenated. Join us on Saturday, October 13th from 11:30AM--1:30PM for an afternoon of guided meditative movement and discussion. We'll move through a 60-minute slow flow yoga class, followed by a 30-minute breakout session to discuss and journal about the divine feminine and social justice issues pertaining to black women, our families, and our communities. Light snacks, water, and wine/sparkling will be served. We'll conclude with a 30-minute yin yoga and meditation practice. No prior yoga experience required. After the session, you're invited to shop the beautiful designer and name brand designs in the boutique at affordable consignment prices. Bring your daughters, mothers, grandmothers, aunties, sister friends, yourself -- its a goddess festival! Price includes access to full event and workshop treats. Please bring a mat. 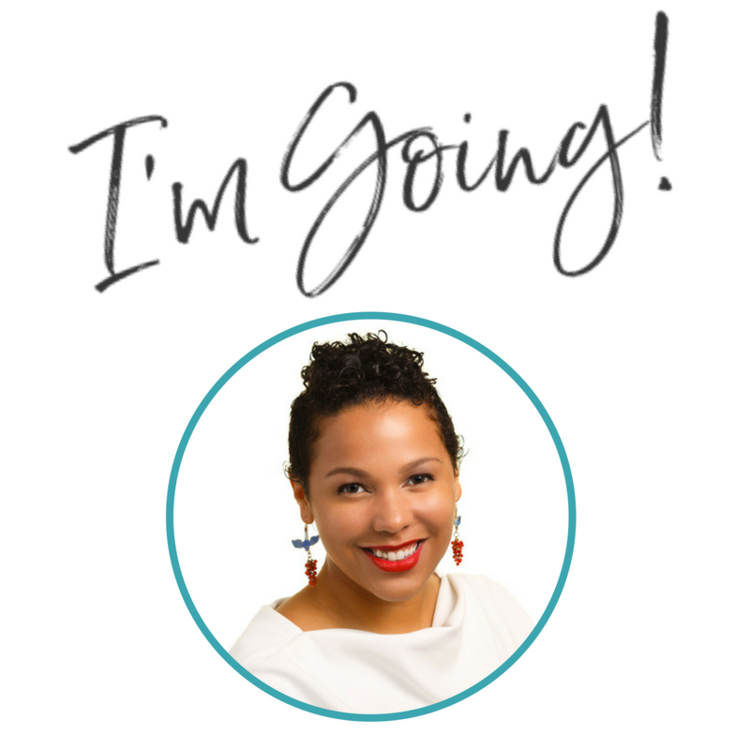 This 90-min workshop is designed to launch you on your personal style journey so you can propel your purpose forward. Allison Hamilton-Rohe, our personal style expert, will walk us through her unique formula in a true workshop setting. How to make your dreams come true with style. We'll tackle your style blocks and begin to fast-track your journey towards a personal style that supports you moving forward. I'm making sangia and a snack for the group. Feel free to bring your favorite beverage or snack to share. And if you're just getting off from work, bring your dinner too. Women Uncorked was founded by Jennifer Beman at Rhizome in Takoma. Similar groups now meet at the Lemon Collective in Petworh, Cove in Dupont, and in Baltimore. Check them out to find the best dates and location for you. One of the most significant changes under the new tax plan is how it affects small business. This workshop will focus on some of the key things small business owners need to know and what potential actions they need to consider to best be prepared moving forward. GET YOUR PARTY PANTS ON. 01. How to make “I’ll end work on time today” truthful again, even if you only have a few hours a day to do it all. 02. The 3 key ingredients to simplify your systems & make inboxing less of a buzzkill, so you’re not reinventing the wheel every time. 03. My #1 tip to recharge your creative juices, WITHOUT sacrificing all your sanity & free time. Business operations. Business processes. Operational infrastructure. Just thinking about these terms probably puts you halfway to sleep or sends you running for the nearest exit. But that is about to change…. Without a distinct and deliberate approach to operations, a business can’t fully function: no one would know where they fit in, what they were supposed to do, or how to do it. This leaves a business unprepared to handle growth, changes, or setbacks of any kind and vulnerable to slipping into chaos. This energetic workshop for small business owners and managers will help you think about the inner workings of your business in a new way! A free, interactive workshop for D.C.'s women entrepreneurs. Join on us August 22nd from 8:30am to 5pm (reception to follow) for engaging workshops, panels and discussions on legal topics that impact your business. Learn from those who have been there before and leave with tips and connections to build a more stable foundation for your business! Our first yoga and hand lettering workshop was such a hit that we're bringing it back again, this time for strength. Join us at Third Space Wellness to hand letter your favorite strength-building affirmations and mantras and maybe find some new ones too. We'll intersperse yoga and lettering / journaling time in this 90 minute practice designed for all levels of yogis and letterers. We hope you'll join us! A hands-on, workshop series focused on customer acquisition and the foundations of business growth. Work with industry experts on your marketing, sales, and financial strategies. Leave with strong direction and a clear path for growth. Hosted by Paradigm & Project 500. We focus on the actions and deliverables that will set you up for success. We’ll cover the best practices, and also give you the step-by-step guidance to accomplish your goals. You won’t just be sitting and listening; you will be crafting your strategy and doing the work to make those strategies work for your business. And you’ll have expert guides there to help you every step of the way. Join Dr. Mike Yasson DPT, CSCS , owner of Big League Performance and Rehabilitation, on Saturday July 28th from 12:30PM - 1:30PM for a Workshop on keeping a positive work/life balance- How to eat, sleep and move better! WHEN & WHAT: Hosted by Dr. Mike Yasson, DPT, CSCS, ART, owner of Big League Performance and Rehabilitation I Southwest DC, and former professional baseball physical therapist with close to 25k followers on Instagram, this is a MUST-ATTEND workshop for every professional looking to be active, move better, and stay free from pain, while gaining more knowledge on sleep, diet, and stress management techniques to help manage a poor work/life balance. Curated for founders, by founders, Founder Camp provides actionable content through applied learning to help you thrive. Come have an entertaining midafternoon at our High Tea Party Speaker Series. Dress to impress in tea party attire or fascinators and enjoy refreshments while learning about intellectual property, patents and trademarks, and the impact of intellectual property on your marketing strategy. Learn the basics so you can avoid costly mistakes! Guest speaker Nepolina Chhetri, Esq is seasoned in intellectual property law and will lead the discussion on intellectual property, patents, and trademarks. Chhetri will be available to answer any questions. Mix and mingle with other aspiring and seasoned entrepreneurs. Thinking about starting a non-profit corporation? This workshop serves as a basic guide! The session includes a presentation, Q & A, and an opportunity to network. Do you spend your time putting out fires at work and home? At the end of the day or week did you make progress on important work? Are you really crazy busy or are maybe distracted and unfocused? Do you even know how you spent your time in the last week? Last month? Does it align with what is important to you? Each week has 168 hours. Time is a finite resource and how we use it is a choice. I bet you hear a lot about investing in the stock market. But do you have no idea where to start? You're not alone! The July Money Circle gathering will focus on the basics of investing, so you can decide what's right for you. This month, we'll be joined by expert Claudia Russell! Claudia is a financial educator, coach and speaker. As the founder of Ms. Engineered Wealth, she offers clear, simple financial education around money mindset, investing fundamentals and money management. Her mission is to empower professionals to transform their relationship with money, so they feel confident and in control and to teach professionals to use money as a tool to build financial stability and create wealth through investment strategies and essential money management skills. Join us at the beautiful Cherry Blossom Creative and learn the basics about investing! You deserve to have your story told. Your mission can’t have a maximum impact if you don’t maximize your reach. Press can do that for you, and do it quickly. X+PR will host a summer workshop series on how to get you the press you need and deserve for yourself as a thought leader or for your business. With everyone vying for media attention, it's important to know how to break through the noise with the right tactics and stories to quickly and effectively capture media attention. And when you DO get that media opportunity, how you show up MATTERS -- to YOU. We’ll close out the session at Femme Fatale where you can get help from local fashion designers, stylists and makeup artists on your signature look. I have been an affiliate since 2007 — before I knew about social media. When I was out of work, it was affiliate marketing that helped me survive. I am still an affiliate of a number of companies today. I want to show you how you can do the same, so be sure to registefor this workshop and find out how to add some new products to your current offerings without creating them yourself. Are you interested in learning more about trademarks? How can you use your trademark? Can you register a sound, smell, color? Come to this session and bring your questions! This seminar will assist you in getting started with the QuickBooks Online accounting system. We will cover the recording of your financial transactions from all sources into QuickBooks. Recordkeeping concepts, accounting principles and some tax aspects will be covered as well. A case study will be used so you will be able to follow all steps from data entry to generation of financial statements. We will also try to address any unique bookkeeping issues relative to your business. You will need to bring your laptop to be involved since you will be accessing QuickBooks from your laptop. For those who have already registered with the QuickBooks Online version you will need a secondary email address to access the software. This is an introductory session to the online version of QuickBooks only and you may need additional assistance from qualified professionals to expand your use of the accounting software post-workshop. Does your insurance policy states that it covers you “everywhere”? 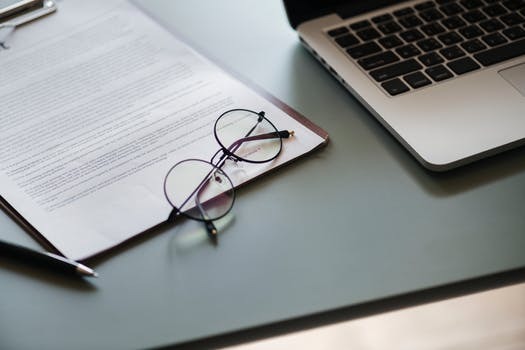 Does your name and not your company’s (or LLC) appear as the insured? Have you added new business locations or services since you last renewed your liability insurance? Does it scare you to even call your insurance company to ask for information for fear of having a higher premium?